For Android & Windows Devices Only. So don’t lose hope just yet. There’s a process by which we can revive your data, we won’t need your first-born or even candles, just 7 to 14 days and $249 (+ tax in WA). The process involves physically extracting the embedded memory chip(s) from the board and using special equipment to read the data. 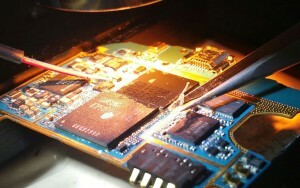 First the chip must be freed from the logic board. 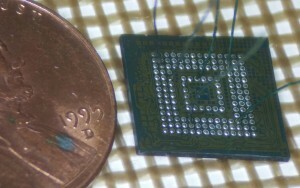 The chip is hermetically sealed to the board with a tough epoxy called underfill. The underfill has to be cut away and dissolved with boiling dimethylformamide before the chip can be de-soldered. Once fully removed we must determine all of the data and ground pads, and what voltages are needed for the chip to operate. 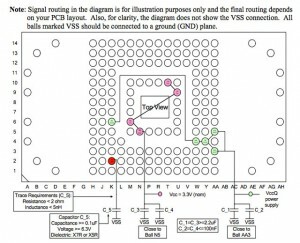 EMMCs require two different precise voltages to operate. 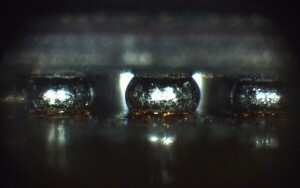 We use a microscope, a very sharp soldering tip and a steady hand to connect the 60-micrometer copper wires (that’s 40 micrometers thinner than a human hair) to the necessary pads and then to a special emulator capable of interfacing with the chip. In CSI: Miami, the data from a device is acquired in a 10-second scene with their laser-beams, precision robotics and flashing diodes. Moments later, the data is revealed, and on huge screen, decoded and organized with all of the suspect’s deleted pictures and messages in their original quality. Unfortunately this is not reality. Though, minus the flashing diodes, we are getting there. We make constant advancements in our decoding software, equipment and techniques. However, in many cases, such deep access and recovery of the physical memory data results in a pile of hex data that we have to manually carve through and decode. For this reason, our typical turnaround is 7-14 days. If the fate of the western world hangs in the balance and it absolutely positively must be done immediately, a while-you-wait appointment can be arranged. 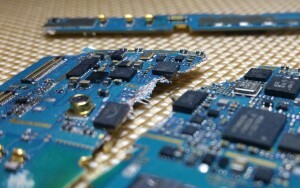 Our rate to perform chip-off data recovery is $249. We offer USB flash drives and return shipping for a small fee.